Landlocked Zambia remains best known, a little counter intuitively perhaps, for its bodies of water. Three large rivers run through the country, with most of the big urban areas and smaller settlements sticking close to waterways and the valleys they've cut over millennia. Holidays in Zambia are adventurous affairs, with real planning required to get the most out of the country--foreign visitors find the infrastructure lacking and familiar comforts practically nonexistent. Traditional villages remain the most culturally rewarding places to visit in Zambia, while superlative natural features include animal-rich national parks and picturesque waterfalls. Zambia is in Africa. 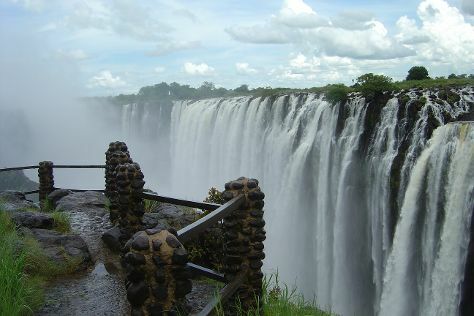 Add Zambia and other Zambia destinations to your travel plans using our Zambia trip planner.